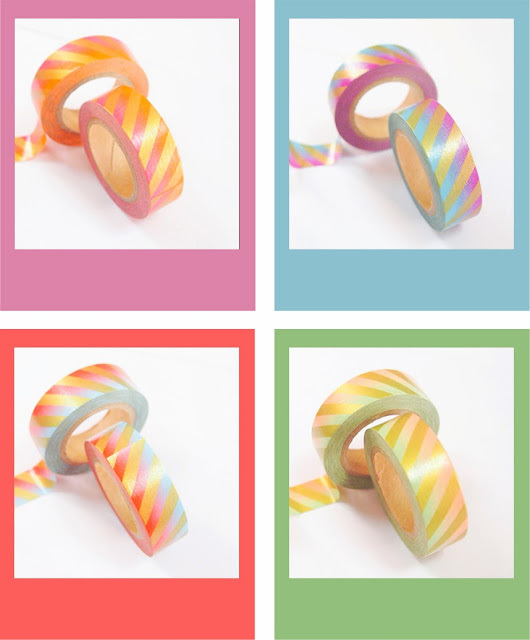 I am so excited to show these brand new and never before seen ombre washi tapes. 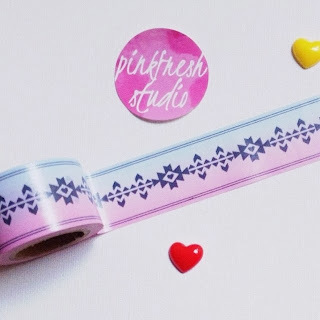 I had received so many requests to create ombre washi in 15mm width but it was not so easy to achive ombre effect when it is not so wide. But I am so glad to be able to come up with one and to make it even more exciting I thought to print on top of ombre washi. Isn't it gorgeous looking? I love airmail tapes because they are so versatile and can be added to any paper crafting projects and gold is something that adds just a little special touch to anything. The next one is is ombre with aztez print and is 30mm in width. Hope you like it. All of these washi tapes will be available to purchase on 16th Nov, 7.00 AM CST along with Delightful tales stamp set and colorblocked wood chips. I will post full pictures of color blocked wood chips and Delightful stamp set very soon. Thank you so much for stopping by here. Have a great day! !